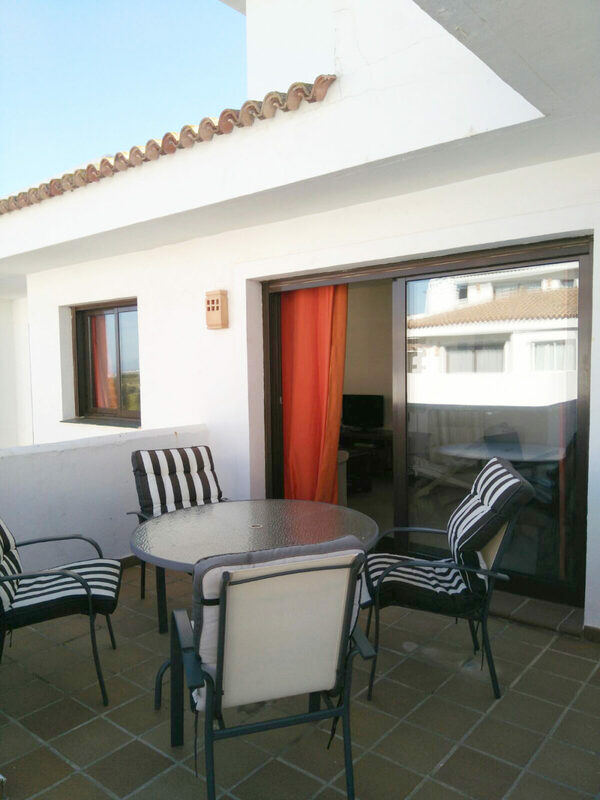 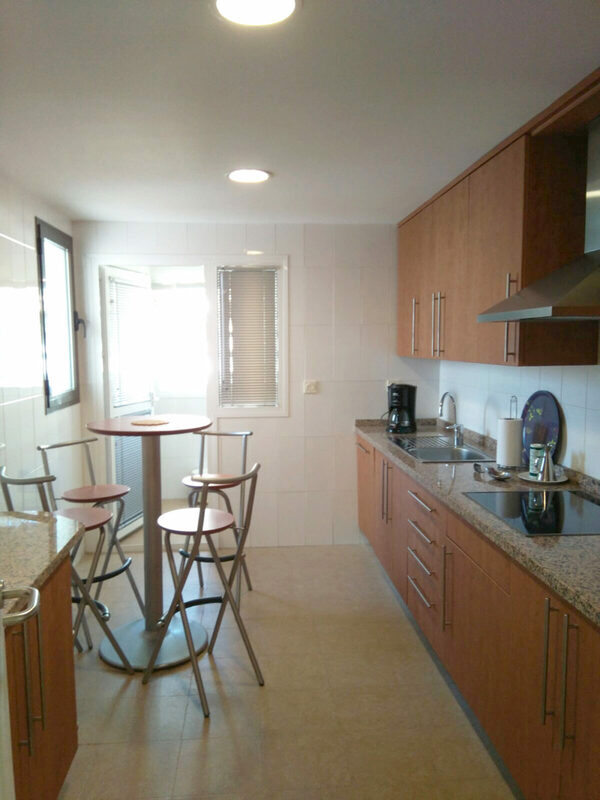 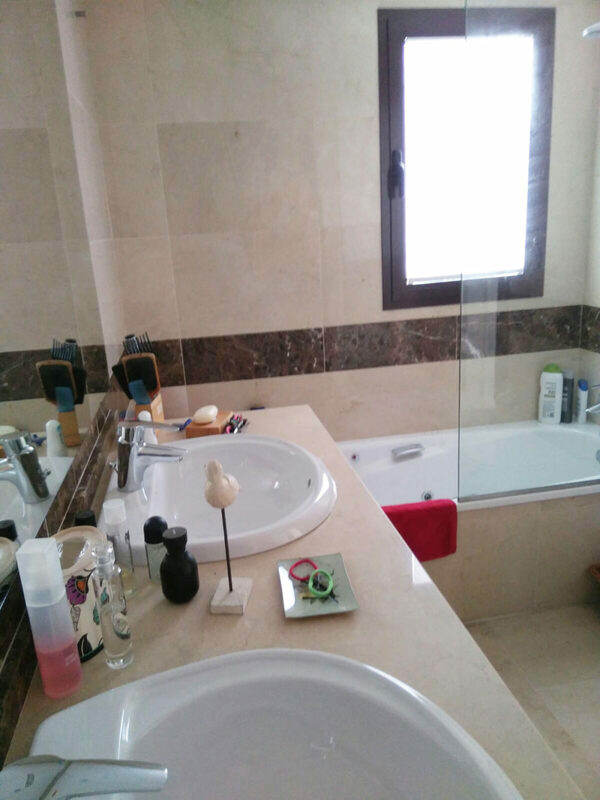 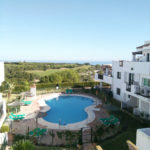 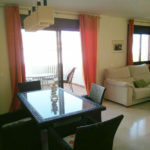 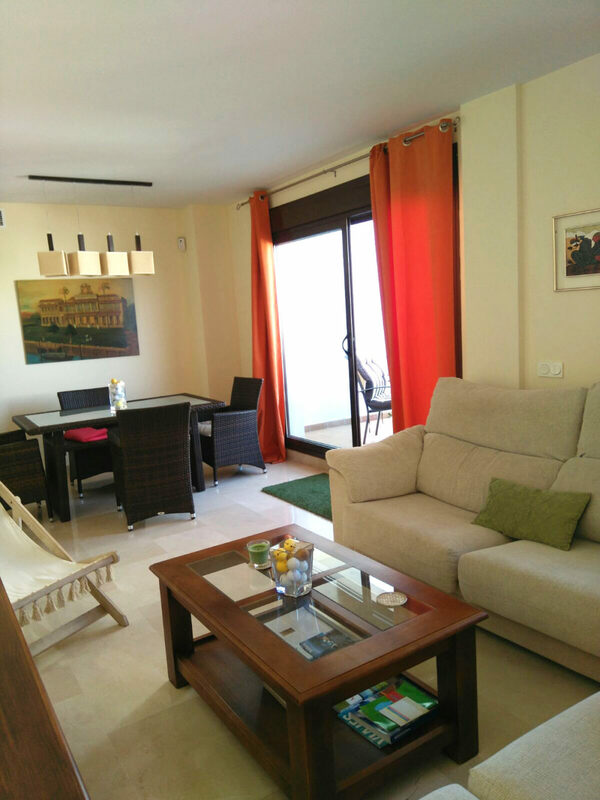 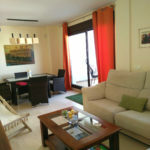 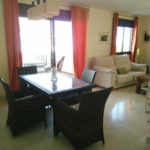 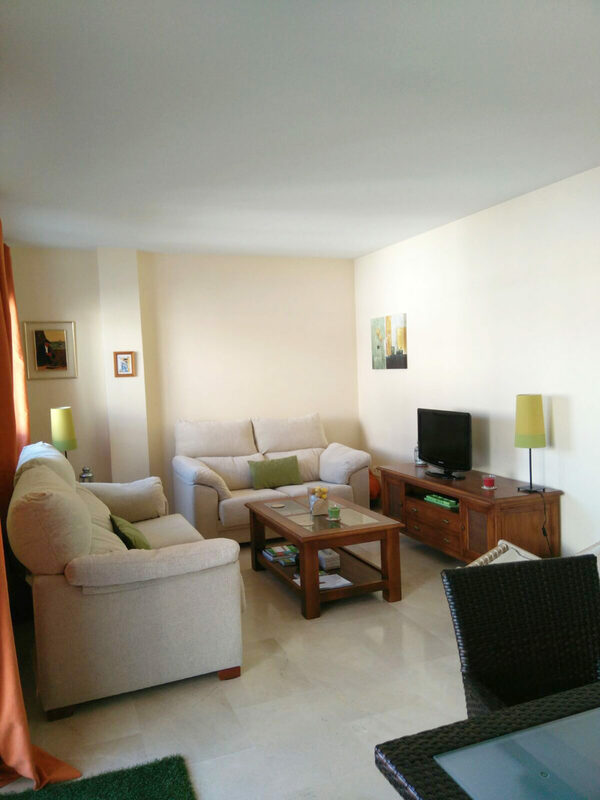 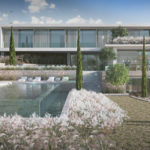 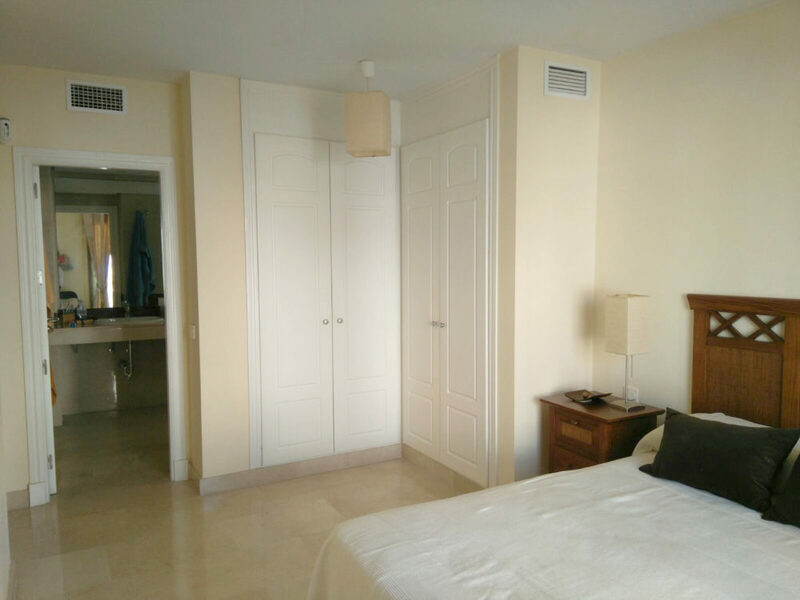 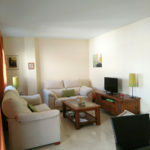 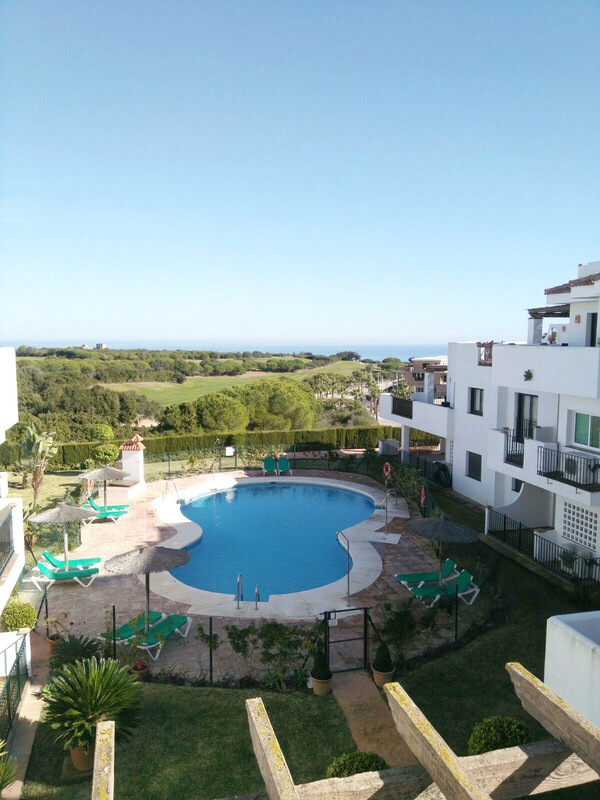 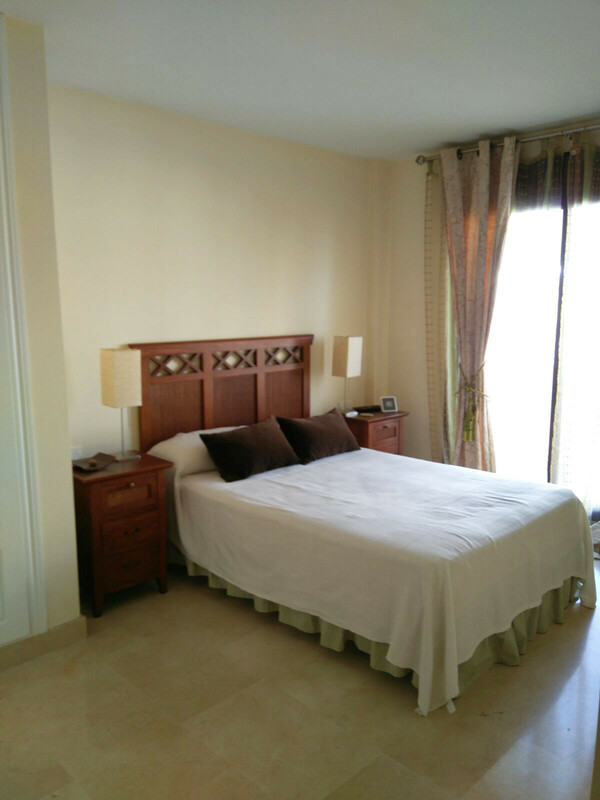 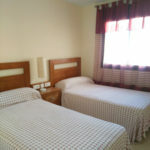 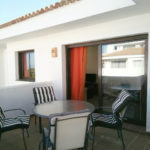 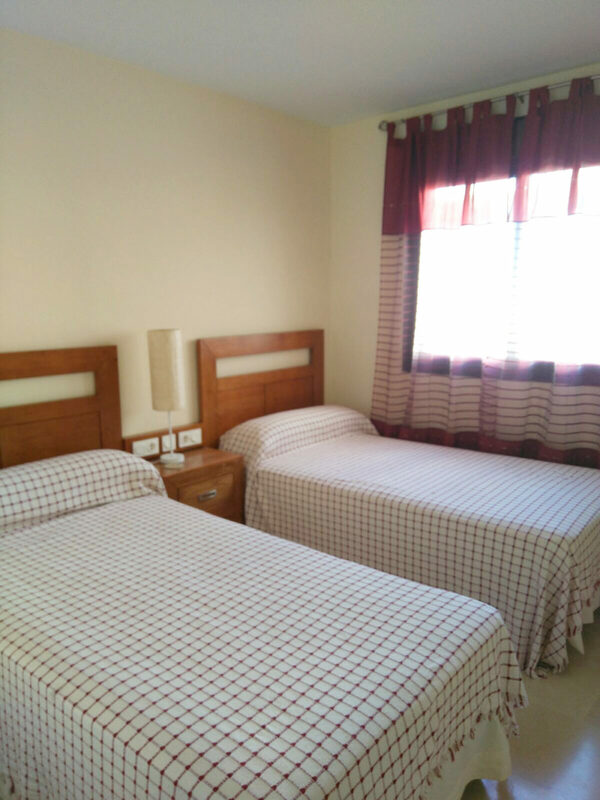 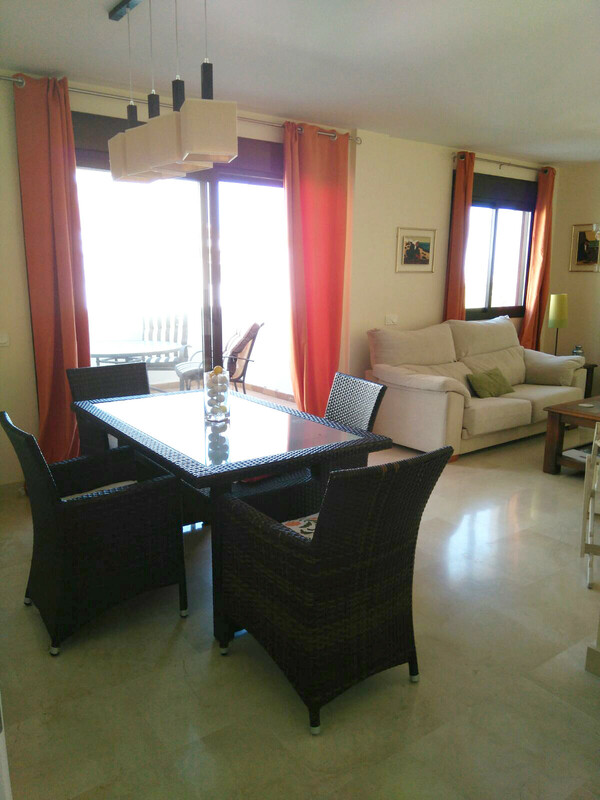 Two bedroom apartment in La Alcaidesa. 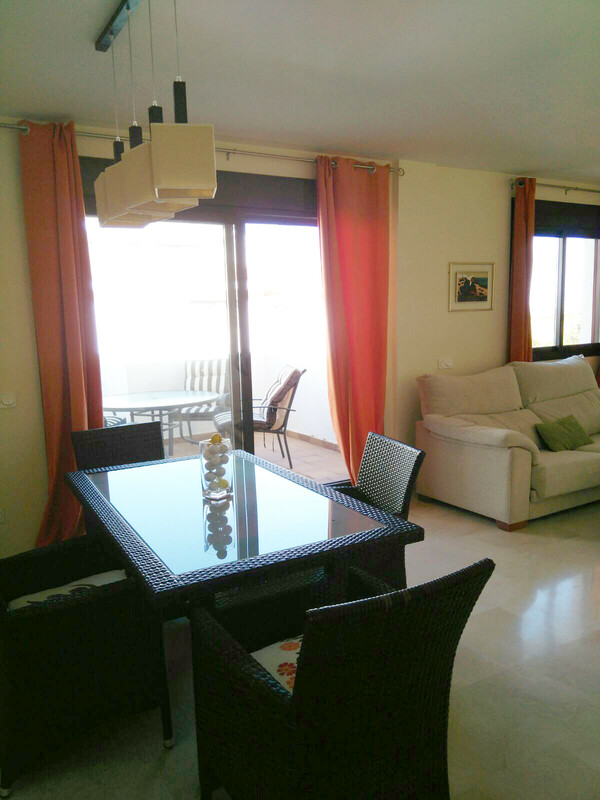 Consisting of an ample living-dinning room, with access to a large terrace, with views to the golf course and sea. 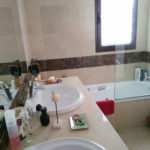 Main bedroom with en suite bathroom, hidromassage bath, built in wardrobes. 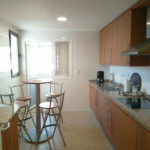 Fully fitted kitchen, with little laundry room. 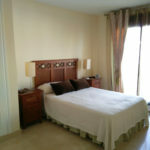 Second bedroom and a separate bathroom. 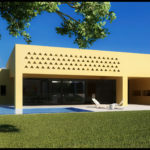 Includes: garaje place, domotic system, alarm system and two community pools.